FTP Extension for Entry Automation is now available for download. 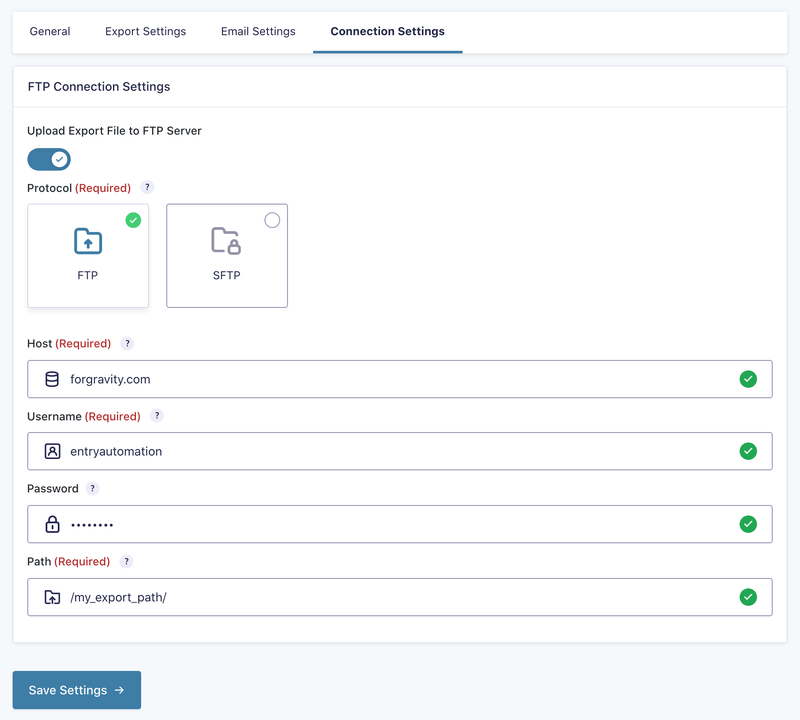 FTP Extension for Entry Automation lets you automatically upload your generated export files to your FTP or SFTP server. With each task, you can configure the host (and port), username, password and remote path for the file to be uploaded to. You get instant validation feedback when entering in your credentials. FTP Extension is available with unlimited site Entry Automation licenses, with more extensions being available in the future. Have an idea for an extension? Let us know!